We will be closed Wednesday November 21 through Saturday November 24. Wishing all our students, families, and friends a warm, happy Thanksgiving! All of our programs are designed to bring out the best in each individual. 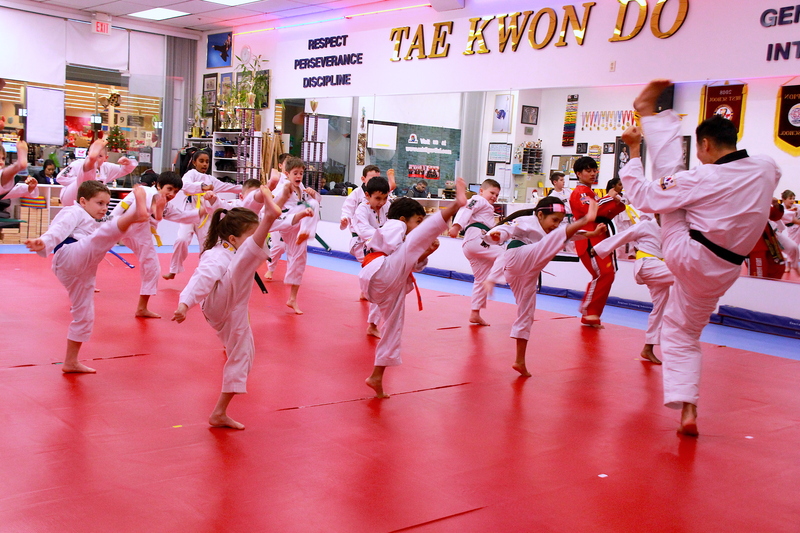 Regardless of ability, age, mental or physical stature, every student has the potential to improve and benefit from Taekwondo! Our youngest students gain independence, confidence and more in this fun, lively thirty-minute class, with smaller class size. Build confidence and independence as students enjoy time with their peers. Improve focus and listening skills with structured learning environment. Develop coordination, agility and strength with fun training games. Expend excess energy in the dojang for a calmer spirit. 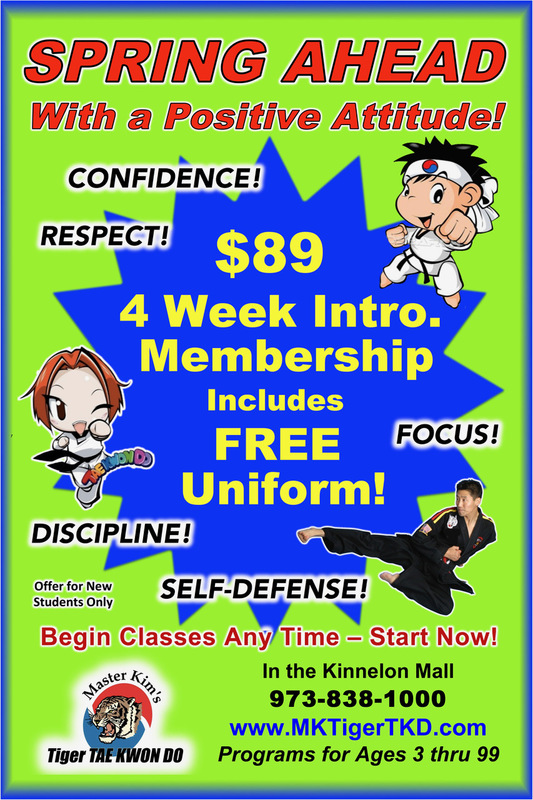 Learn basic punching, kicking and self-defense skills. 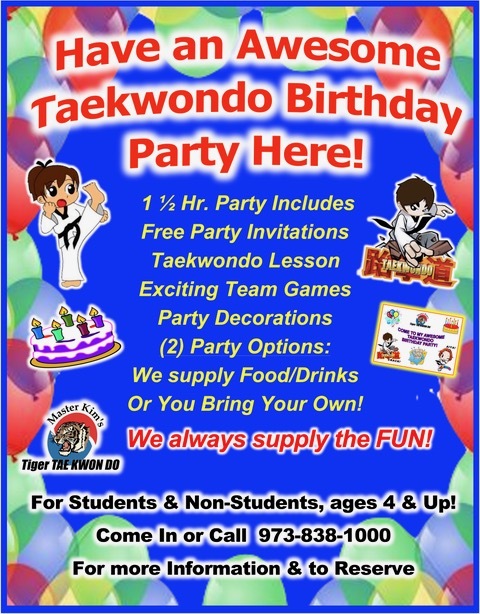 Also known as our PeeWee Program, Little Tigers will enjoy a dynamic thirty minutes where they are introduced to the basic techniques and principles of taekwondo, while developing many life skills. Develop confidence and pride by enjoying new challenges with others. 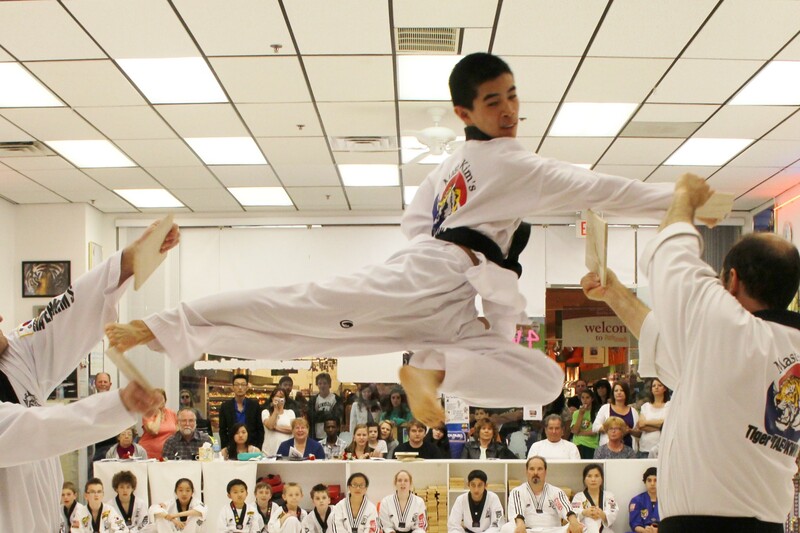 Improve focus and concentration by channeling excess energy in the dojang. Enhance coordination and strength through training. Develop cooperation and respect by practicing with their peers. Learn valuable self-defense skills and gain self-control. Our Children’s Program provides an exciting environment where children will develop the tools to handle many of life’s challenges with a positive attitude. Learn self-defense techniques > Greater self-assurance! This program provides an environment where teens and adults will improve self-esteem, well-being and gain a positive attitude. Enhance confidence and self-esteem with new personal achievements. Improve focus and concentration through physical and mental training. Relieve stress and anxiety while increasing strength and fitness. Learn self-defense skills for greater peace of mind. 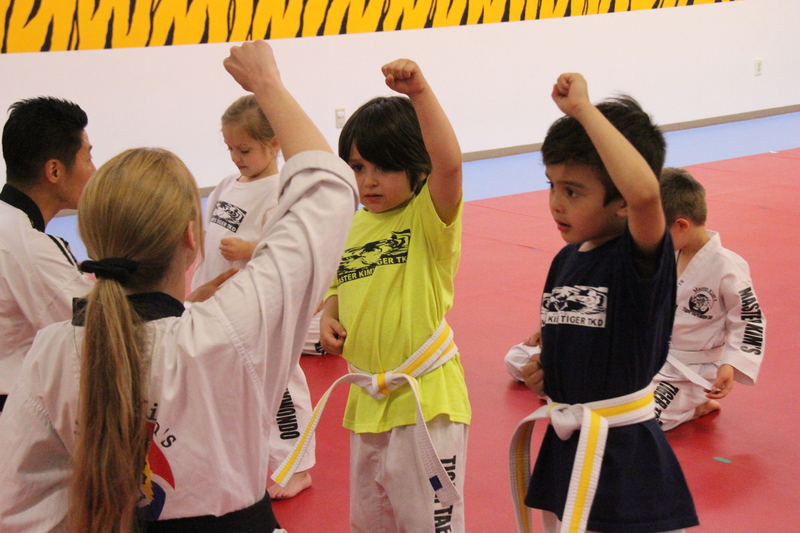 Build instant friendships with those who share a passion for Taekwondo! We welcome all practitioners of the martial arts and strive to provide a challenging curriculum that will motivate Black Belt students to persist or embark on their journey to Taekwondo mastery. 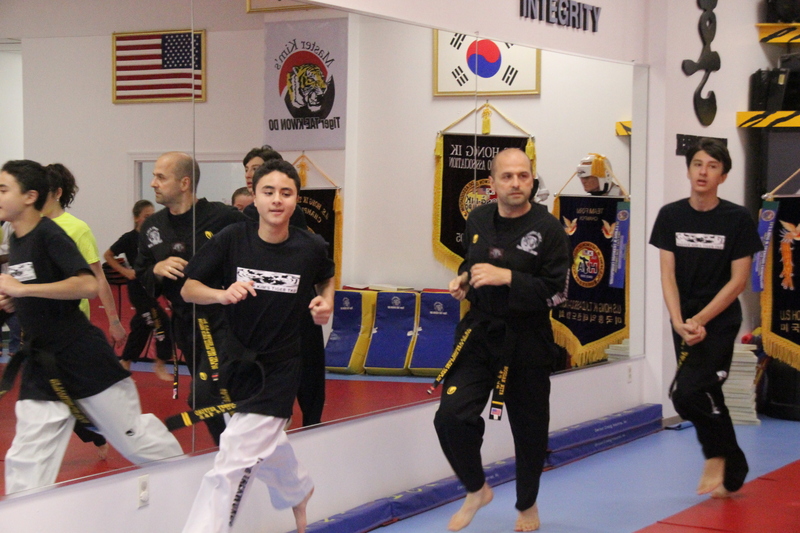 Our Black Belt Programs progress with advanced self-defense skills, World Taekwondo sanctioned black belt forms and a variety of weaponry, as well as continuously refining all previously learned techniques. Students who have achieved Orange Belt or higher are encouraged to participate in sparring class. 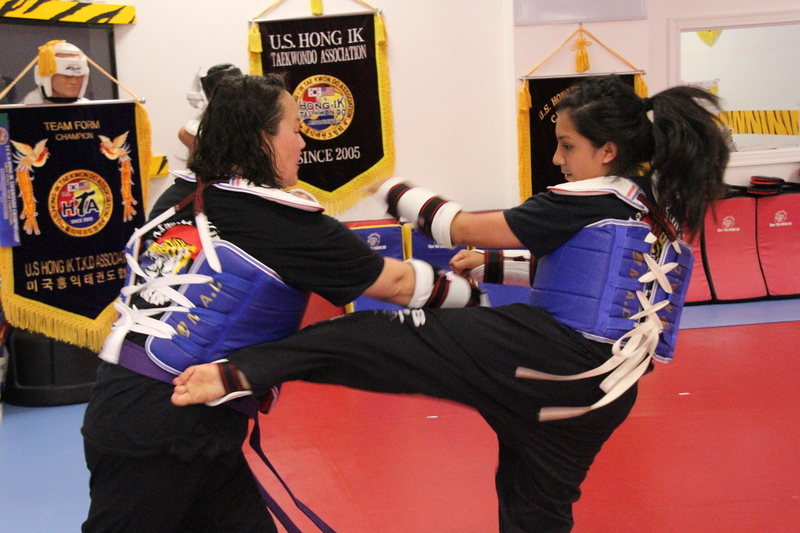 Sparring classes give the opportunity for students to practice their agility and speed combined with the offensive and defensive taekwondo skills that they have learned. Sparring instruction prepares the students for our belt promotion testing, tournament competitions and perhaps for future Olympic competition! As sparring is a contact sport and safety is always a concern, we require full sparring equipment to be worn by participating students. We appreciate the necessity for individualized attention for students who thrive in a private setting. 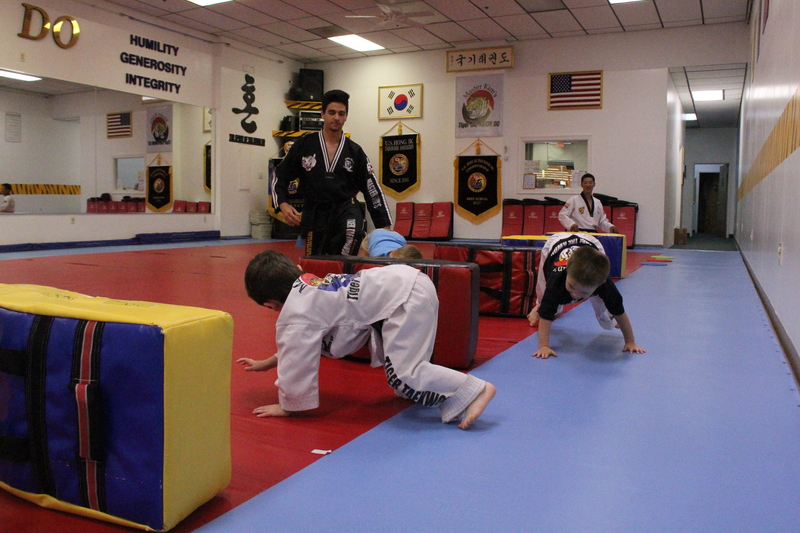 Master Kim and his instructors are highly qualified to provide the motivation and personal attention, so that each student can realize his/her fullest potential. 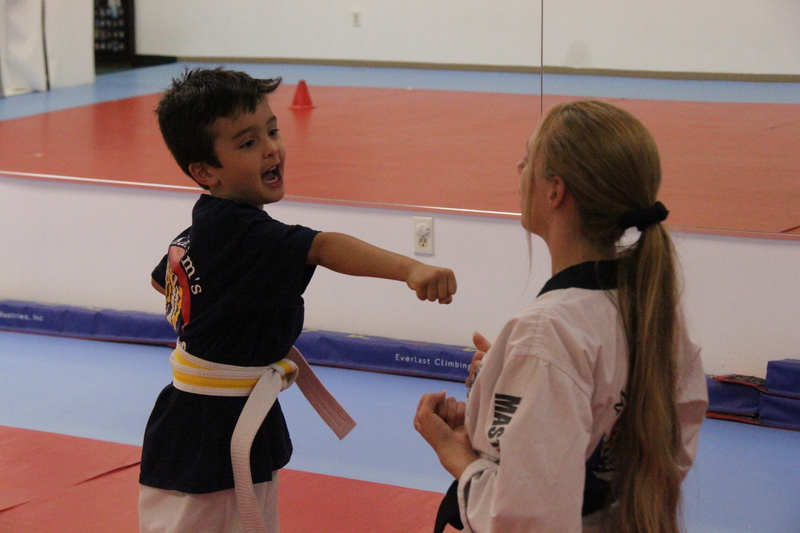 Private lessons provide the opportunity for students to experience all the benefits of Taekwondo training without the distraction they might feel in a larger group. As always, our goal is to bring out the best in every student! 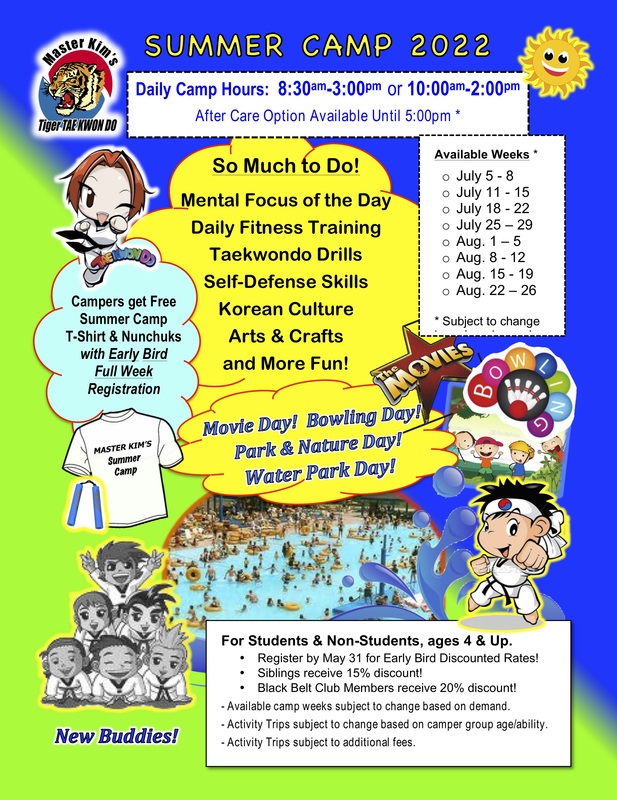 In addition, we are happy to accommodate homeschool groups and other special request events during our private lesson times or non-regularly scheduled class times.